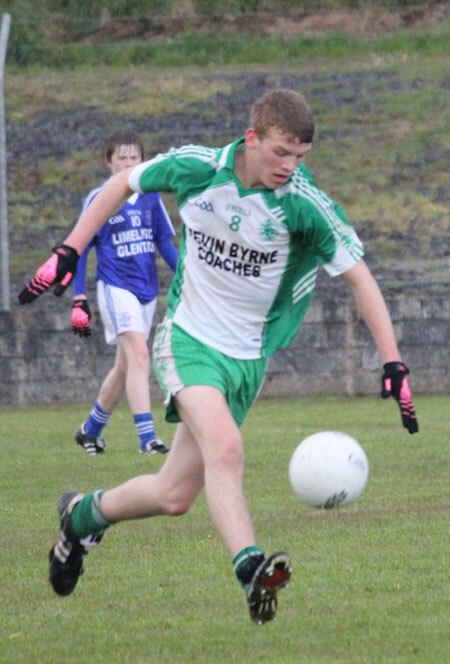 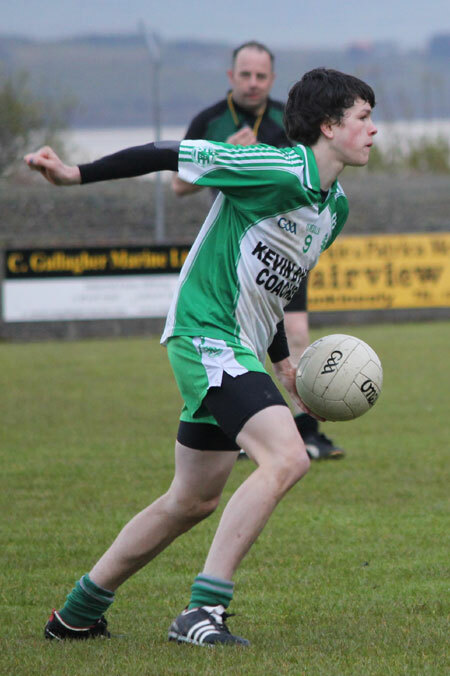 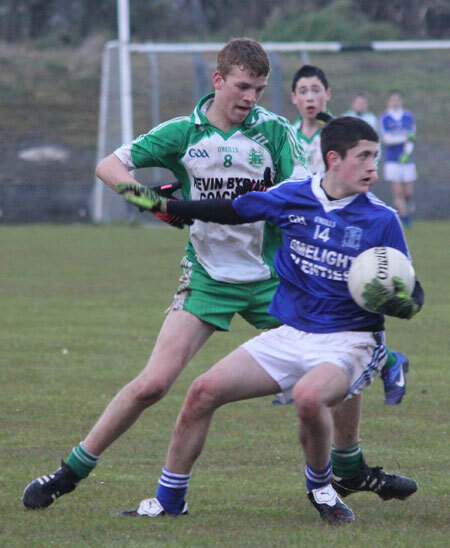 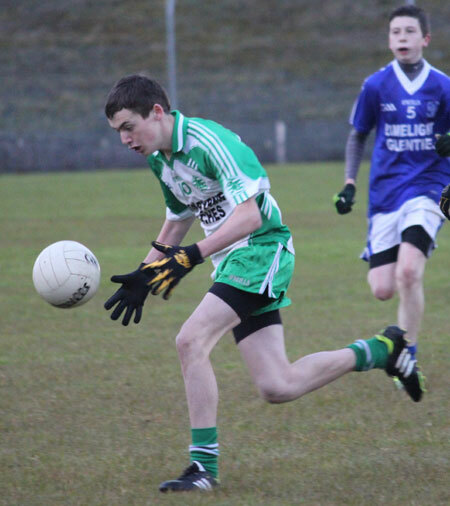 Aodh Ruadh under 16s booked their place in the Southern Minor Board league final with a 3-10 to 1-12 victory over Naomh Conaill in Dunkineely on Monday evening. 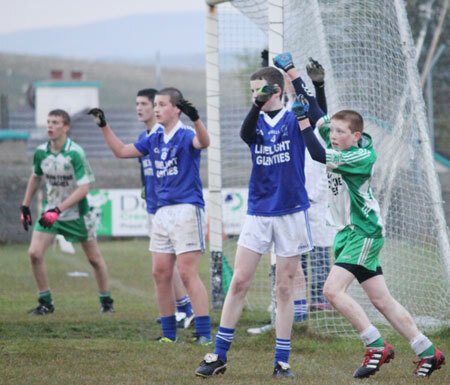 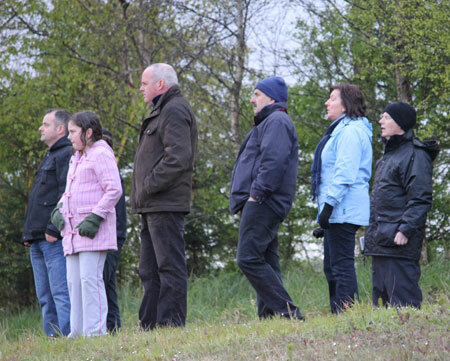 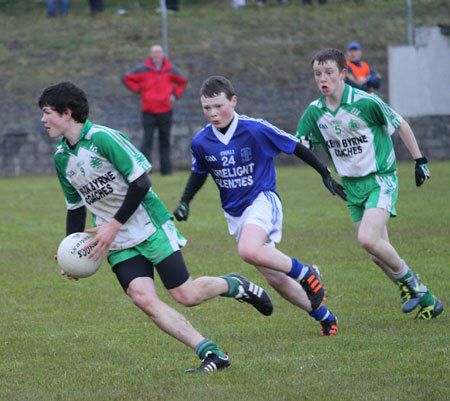 It was a game that tested Ballyshannon's character and they were not found wanting. 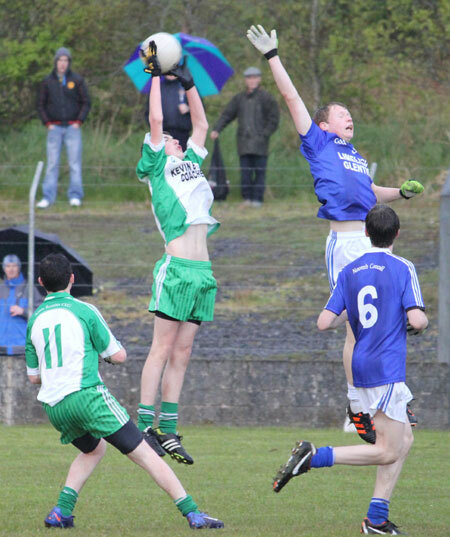 Naomh Conaill scorched into an early lead and were six points to no score up after 12 minutes and it was looking like one way traffic. 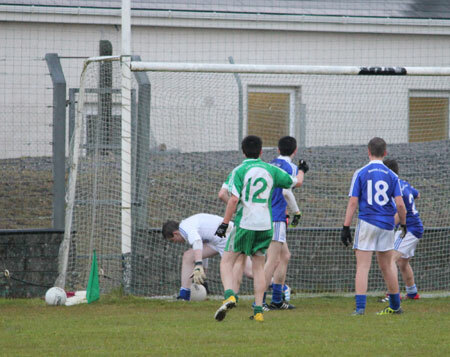 Indeed it took an exceptional save from Kevin Warnock to prevent it being a nine point game. 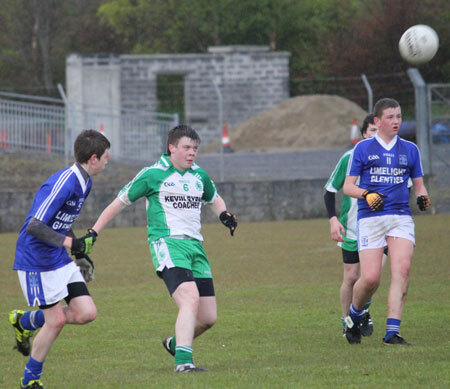 That inspirational save and a few positional switches helped steadied the ship. 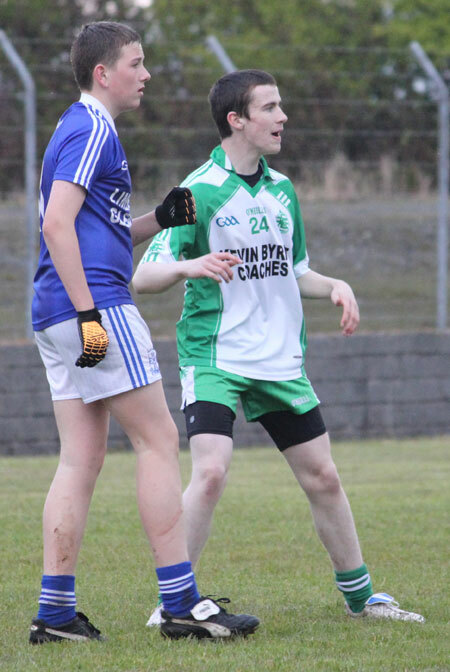 Philip Patton got goal and a few points to Aodh Ruadh back into the game and by the time the whistle went for half time, trailing by 0-9 to 1-4 looked like a pretty good result all things considered. 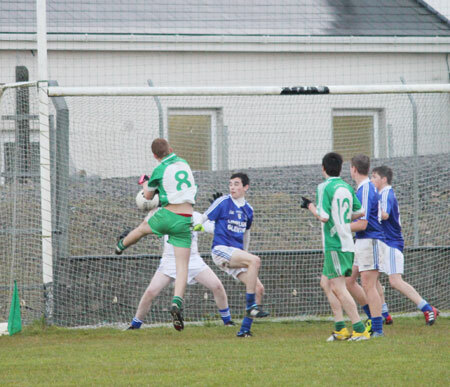 Two long range frees from Philip Patton at the start of the second half got Aodh Ruadh level again. 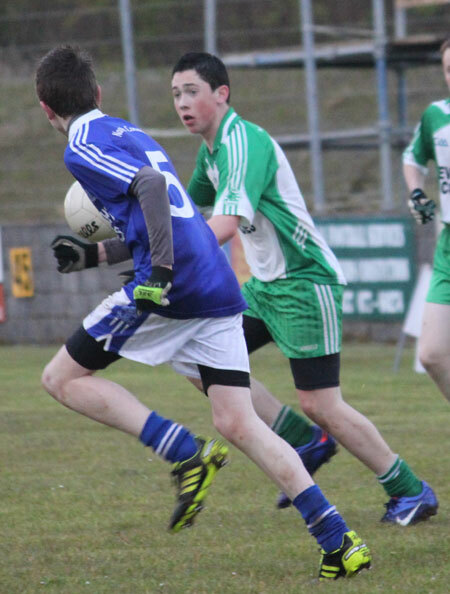 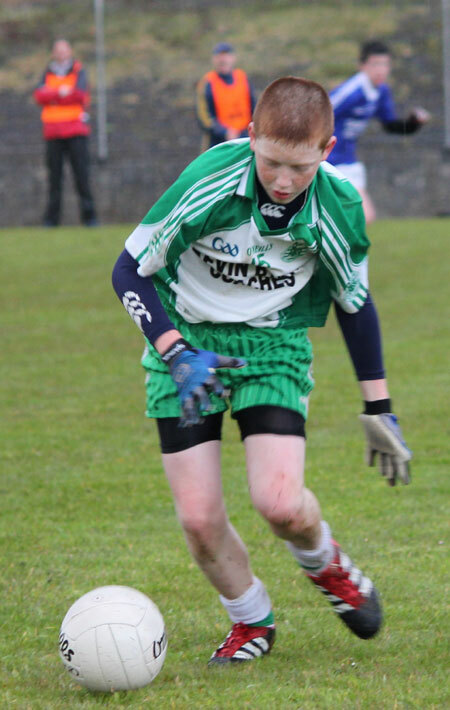 Then for the next 15 minutes it was hand to hand fighting with Aodh Ruadh edging in front, only to be reeled back in. 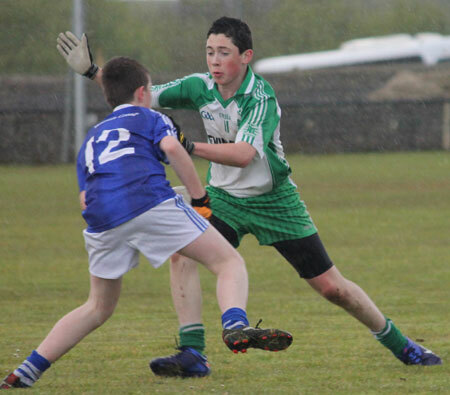 It was only the last ten minutes Aodh Ruadh got some breathing space with two goals, the first from Jason Gallagher and the second a side foot through a mess of players from Niall Harley. 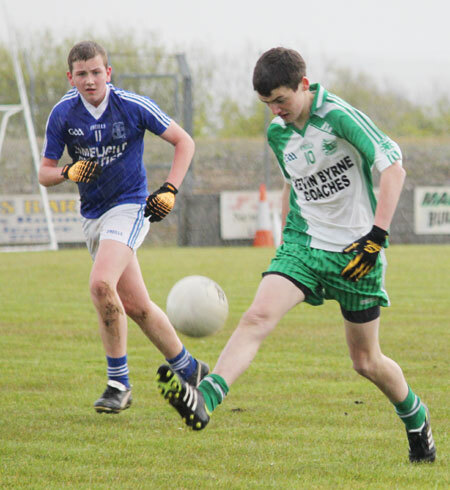 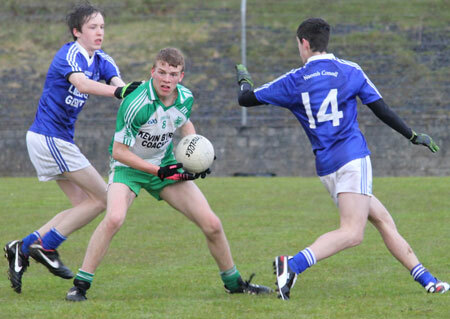 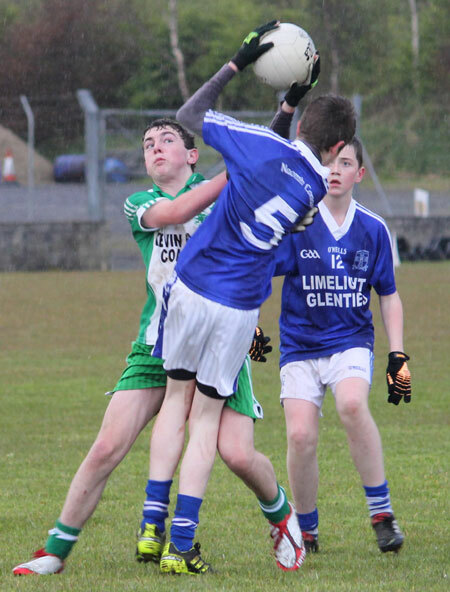 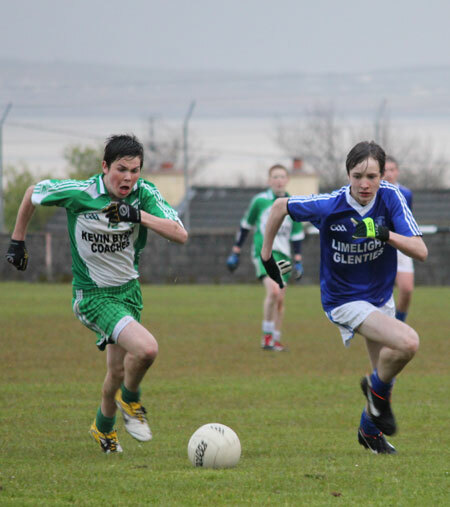 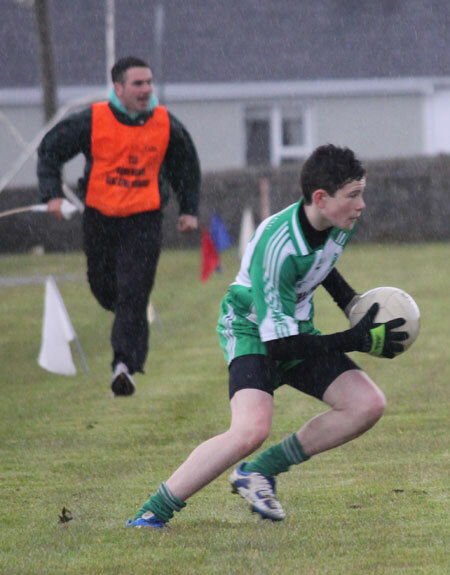 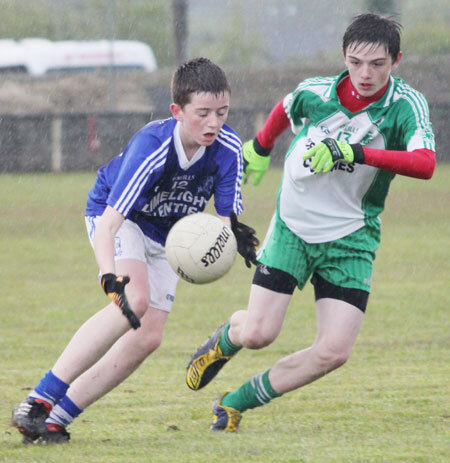 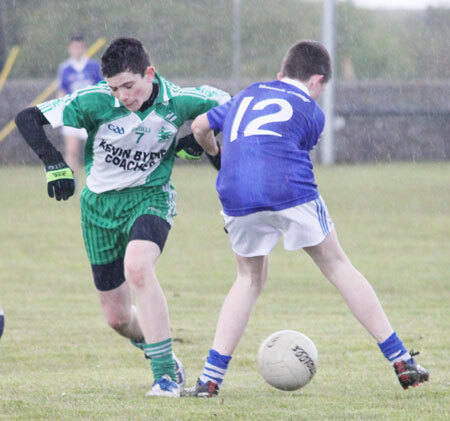 Glenties hit back with a goal of their own to cut the deficit to three points, but Aodh Ruadh picked off the last few points to secure their place in the regional decider. 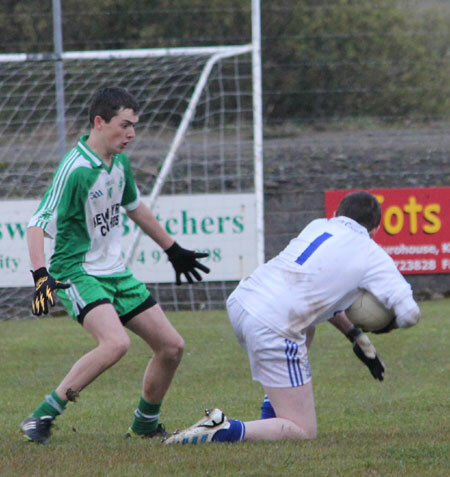 Defence as a whole did well with Callum 'Cookie' O'Halloran having his best game all year. 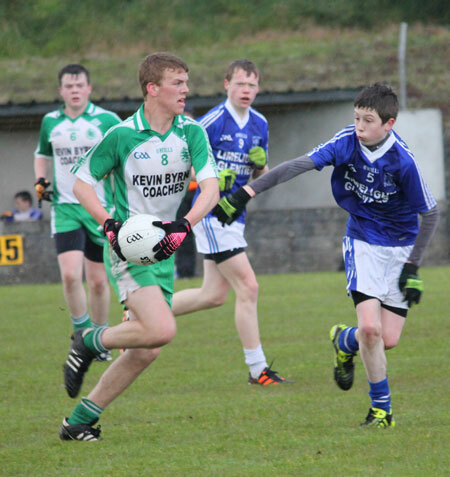 Kevin Warnock in nets and Conor Kennedy, Colm Kelly and Matthew Maguire formed a heavy duty rearguard. 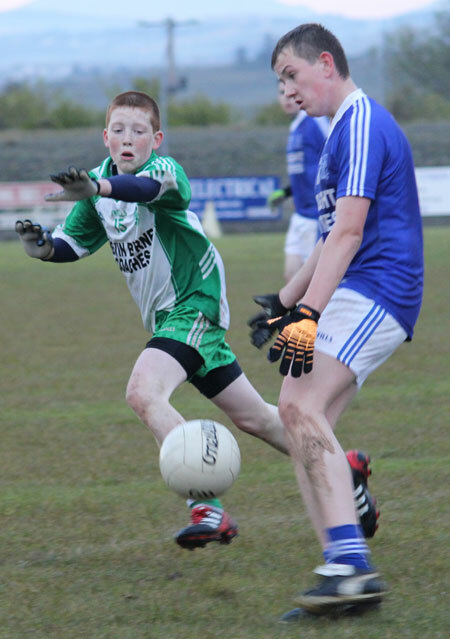 Philip Patton was exceptional up front and he left no defensive error unpunished. 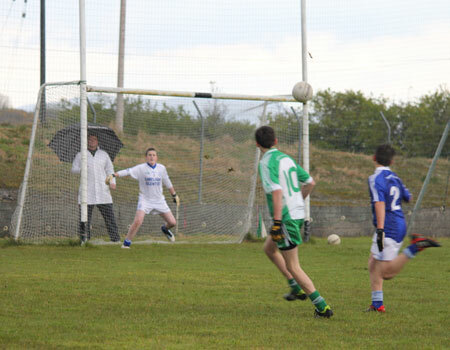 Jason Gallagher also pitched in well. 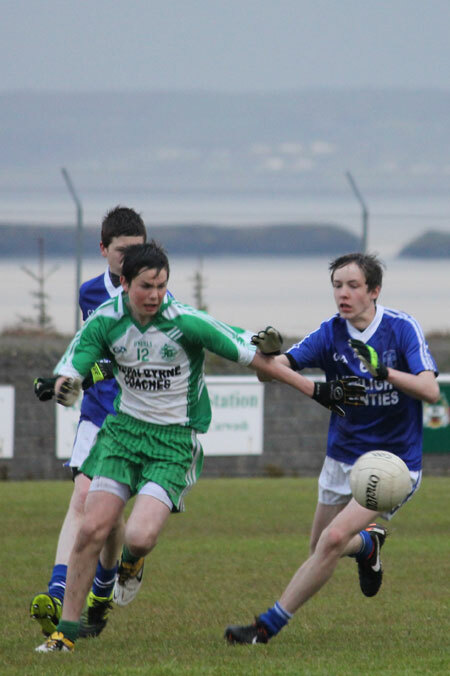 Midfield functioned well and Niall Harley took his scoring tally this week to 1-2.